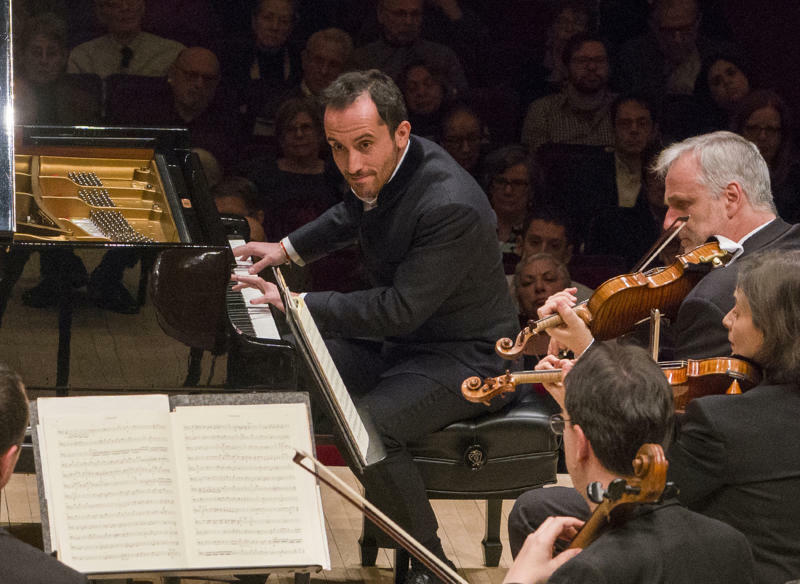 NEW YORK (AP) — Igor Levit arrived at John F. Kennedy International Airport's Terminal 1 ahead of his first concert at Carnegie Hall's main Stern Auditorium. It was the last day of February and his entry didn't go smoothly. "It was actually four hours," he recalled. "There were 900 people standing in the line — approximately 900 people — it was packed to the stairs, to the escalator, and they literally had one window open. Nothing was working, nothing. There were no announcements made. There were kids. There were old people. It was just a disaster." Winner of last year's Gilmore Artist Award, given quadrennially to a pianist along with a $300,000 prize, Levit is among the most probing young artists in classical music. His website describes him as "Citizen. European. Pianist." Before a recital of Beethoven piano sonatas at Brussels' Palais des Beaux-Arts in November 2016, on the morning after the U.S. elected Donald Trump president, he addressed the audience and said: "Today is a dark day, yesterday was a dark night. Yesterday the greatest economic power in the world has freely elected a bigot, an opportunist, an angry and dangerous man as their new president, as their commander in chief." He criticized Brexit, the French far right and German neofascists, then told the crowd: "The time of staying in my comfort zone is over. As long as I have a voice, as long as I am able to raise my voice, I will not let these aggressive people destroy my society, my world." When he played Beethoven's Piano Concerto No. 3 for the First Night of the Proms at London's Royal Albert Hall in July 2017, he wore a European Union pin on the left lapel of his tailcoat and for an encore he played Liszt's transcription of the "Ode to Joy" from Beethoven's Ninth Symphony — the EU anthem. "Twitter is not a debate platform. I used to think it is," he said on the morning of his Carnegie concert, a Beethoven third concerto with the Vienna Philharmonic. "But I kind of more and more feel what used to be this phenomenally light, fantastic platform, which I really, really love became undisputedly an angry, schizophrenic bad place." This was four days before his 32nd birthday. 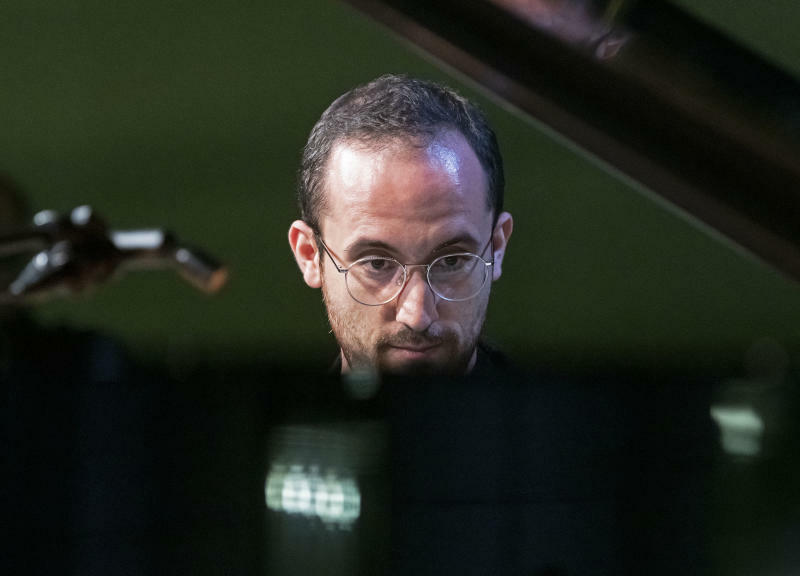 His latest recording, "Life," a two-disc set released by Sony last October, is a tribute to his friend Hannes Malte Mahler, a German performance artist who died in a bicycle accident in July 2016. Among the music is Frederic Rzewski's "A Mensch," Liszt's transcriptions from Wagner's "Parsifal" and "Tristan und Isolde," and Bill Evans' jazz work "Peace Piece." Levit's idea was to start with darkness, end with brightness and cap the recording with the Evans' composition as an "amen." "There's literally nothing that makes me feel better about it," Levit said. "I won't lie to anyone and pretend to be this arty guy who says that music helps. No. Nothing really helps. I don't think about it daily now, but whenever I think about him, it's as it was on day one." Born in Nizhny Novgorod, Russia, Levit moved with his family to Hanover, Germany, when he was 8 and then to Berlin three years ago. His Beethoven is in demand as the 250th anniversary of the composer's birth approaches in 2020. Chris Roberts, a Gilmore artists committee member, recalled hearing Levit for the first time at a recital in Princeton, New Jersey, in February 2016, watching from an upper level and looking down as if from a drone. Prokofiev's Piano Sonata No. 7 got his attention. "The music was compelling. It was unusual. It was powerful in a technical and in an emotional way," Roberts said. "I think I wrote this in my review to the group, it was like an octopus with all these tentacles. It was like he had eight arms and not two. It was like synchronized swimming. It was like ballet and pianism combined in a way." Liz Ostrow, a recording producer also on the Gilmore committee, was especially impressed by a performance of Bach's Goldberg Variations at the Park Avenue Armory in December 2015, staged by Marina Abramovic with a piano on a moving platform. "He's true to the intent of the score and then he finds an ability to say things that are his own within that," she said. "He's able to make his own statement within the confines of the music that was written and that takes intelligence and thoughtfulness and technique." Levit called his first piano "Lulu" after the title character in Berg's opera and his second "Monk" after Thelonious. Still, he's not always a focused intellectual. There was his decision about how to fill time when a flight was delayed for hours. "I didn't know what to do and I literally watched all four 'Transformers' movies in one go," he said. "It was bad. It was really bad. And then I felt awful."